1. 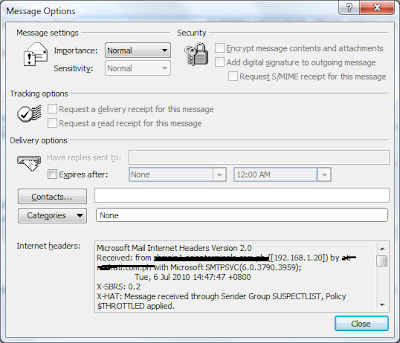 From Outlook, right click the message and click the Message options as shown below. 2. 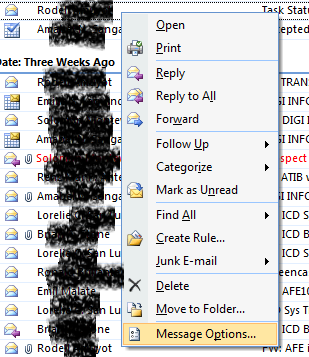 Then under Internet Headers you will see the message header. You can copy the text inside the header's textbox and paste it anywhere you wish to.